music ruined my life: "Let's Just Put This One Down For Kicks"
"Let's Just Put This One Down For Kicks"
Here we have the young Bobby Dylan, that lone balladeer with a guitar who could blow an entire army off the stage. This bootleg features forty-five publishing demos, recorded in a small room on music publisher Lou Levy's tape-recorder for Leeds Music and Witmark and Sons between 1962 and 1964. A dozen of these tracks have never been issued in any form and, while a few of the remaining tracks made it onto various editions of the Bootleg Series (after re-mastering), the bulk of this set has never seen the official light of day. Performed, essentially, for an audience of one the results can be almost claustrophobically intimate. Dylan's talking right atcha, abruptly cutting off "Let Me Die in My Footsteps" for being "kinda of a drag" and stopping "I Shall Be Free" because he can't remember the rest of the verses. Adding to the immediacy are the vérité sounds, like the door slamming on "Masters of War", the foot-tapping on "Standin' on a Highway" and, of course, the inevitable coughing at the start of "Watcha Gonna Do". This release now forms the basis an official release, The Bootleg Series Volume Nine. MRML's previous Dylan posts have included one with twenty covers of, "When the Ship Comes in" and a free digi-e.p. 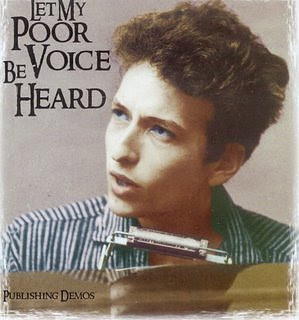 of Dylan covers by The Multitude ofSins. Mesmerizing and utterly delightful. I can't thank you enough. And you are most certainly welcome. Damn but I love this era - enjoy!